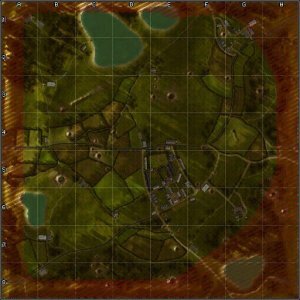 The map contest is over. 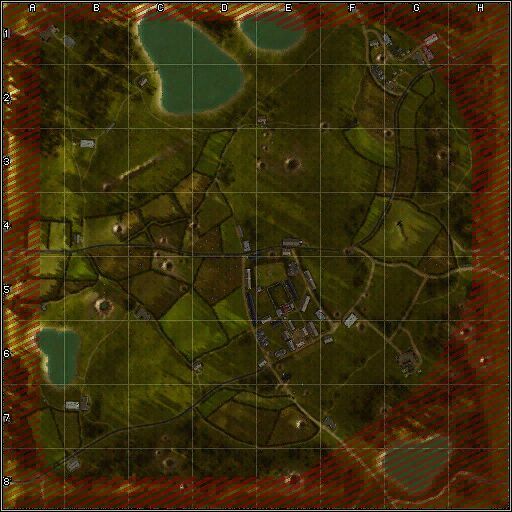 23 maps have been sent in. We would like to thank everyone who participated. At the moment we are looking into the maps and rating them. That takes some time, especially while we are trying to finalize the patch, but, apart from that we will do our very best to bring the official Fan Map Pack #2 out to you ASAP. Stay tuned to get more information about Fan Map Pack #2 soon, as well as a declaration of the winner of the contest. As announced in the last news update we have something special for you today. 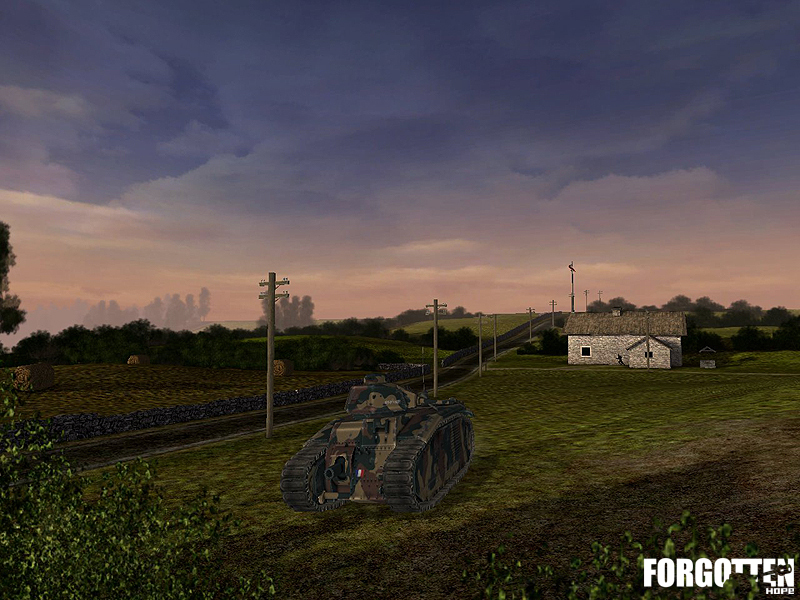 Contrary to rumor it is not the release date announcement or the Panzer III, but we think you will like it anyway! 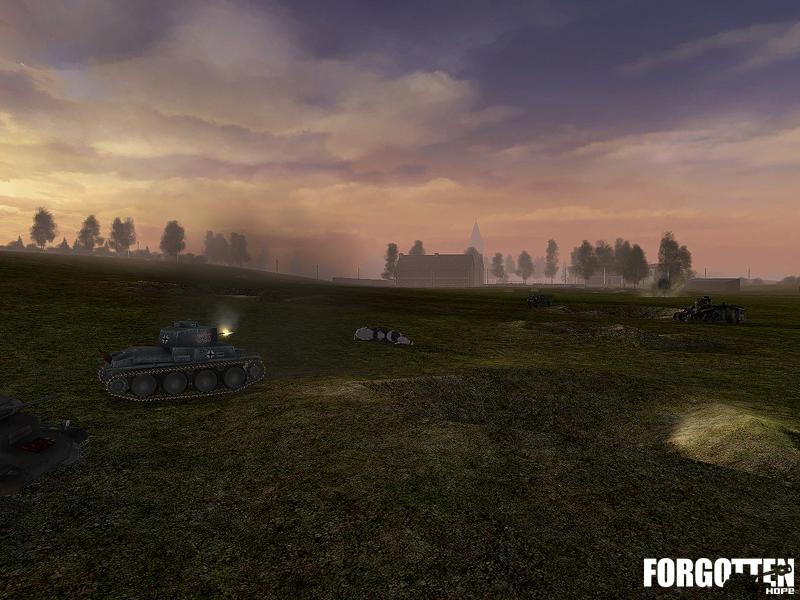 With today's update we are finally introducing the French army to the mod with lots of hot stuff. Every army needs good equipment there is much finished work to show! First of all we would like to present our French armor. We have the CharB1 done by Montoya and the Somua S35 modeled by Lude and skinned by Montoya. Perhaps with these, you can reverse the verdict of history and shatter the Axis armored spearheads. 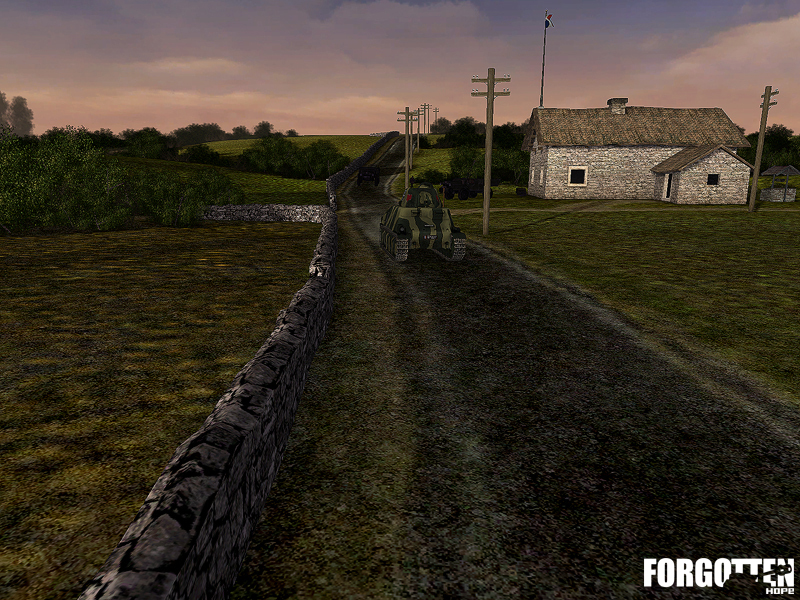 The Laffly 15t APC and the Lorraine 37L Hauler both created by Montoya will transport reinforcements into the field. Artillery and air support will be provided by the SA37 AT gun and the Morane Saulnier 406 -- both made by Montoya..
And for the infantry, here are some new toys, as well. We have the MAS 38 SMG designed by Djagg and McGibs. And last but not least the French grenade M�dele 1937 that was done by McGibs. You will get the chance to field-test this equipment on a map called Counterattack that takes place in the year 1940 in the fields of eastern France. The map was made by Armin Ace and depicts a first attempt of British and French troops to take the offensive against the advancing German forces. We're very grateful you decided to stop by the site and check on our progress, be sure to visit by our public forums and discuss this news update. Come back next week for another news update from Forgotten Hope. We would like to welcome you to this additional news update. The Forgotten Hope Fan Mappack #2 contest is about to end and for this reason we wanna shoot out a last reminder. The deadline for submission is getting closer so if you want to have your map the chance to be included in the official Fan Mappack #2 don't forget to send your map in in time. 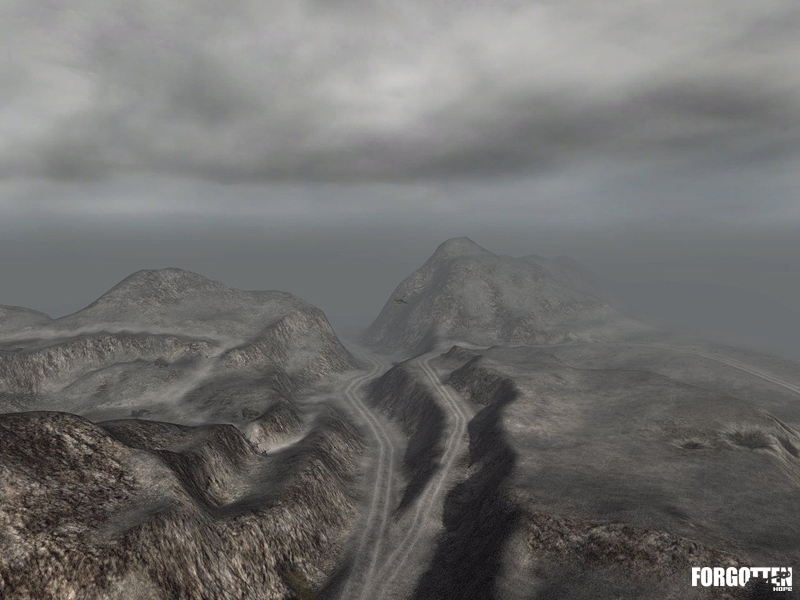 Any map submitted after friday, 26th of november 24:00 (GMT) won't be accepted. The winning maps will be presented to you as soon all incoming maps have been rated and for sure the winner will be declared and receive his "suprise price". For sure the Fan Mappack #2 will be ready for download by then. That's all for today folks, but keep yourself ready to check out our upcoming news special on sunday! If you like to discuss this one you may give our public forums a visit. First of all for today's news we need some help with the development of our mod. We are looking out for a very talented animation artist. If you think you can do the job and want to apply please send an e-mail to Arminace@aol.com and include some samples of your work if available. And now we would like to welcome you for another update. 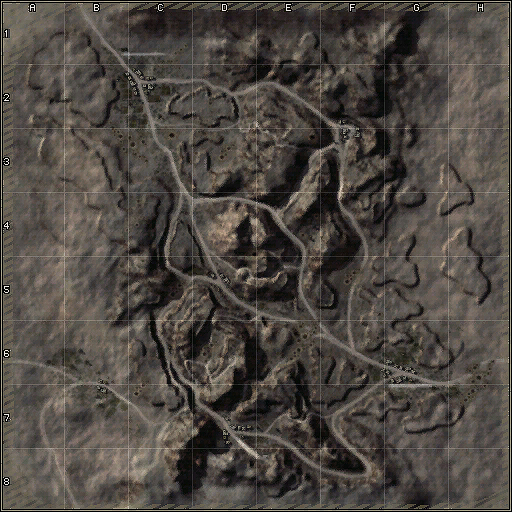 In the first place we would like to remind you of the ongoing map contest for Fanmappack #2. The deadline for submissions is next Friday, the 26th of November. So don't forget to send your map in in time for it to have a chance to be part of this pack. 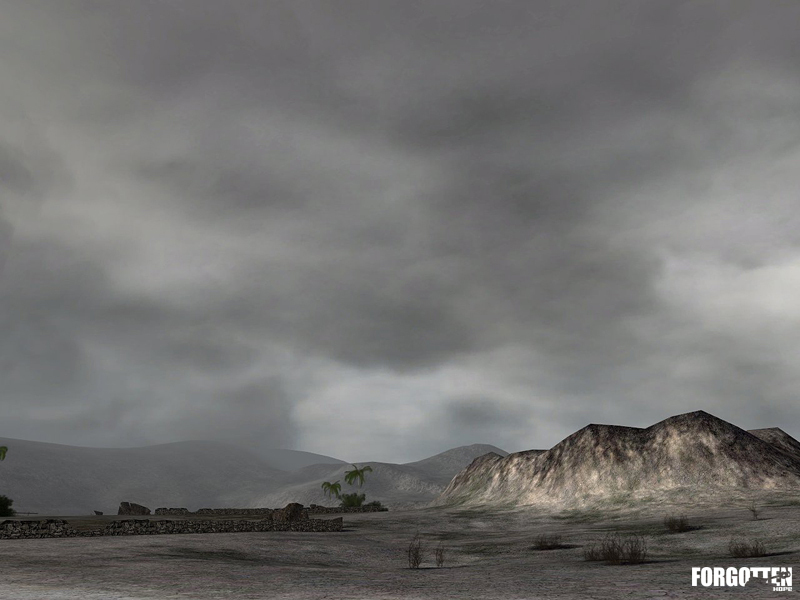 For the last tweaks of your map we have setup a new version of the Forgotten Hope Modding Tool Pack V1.1. 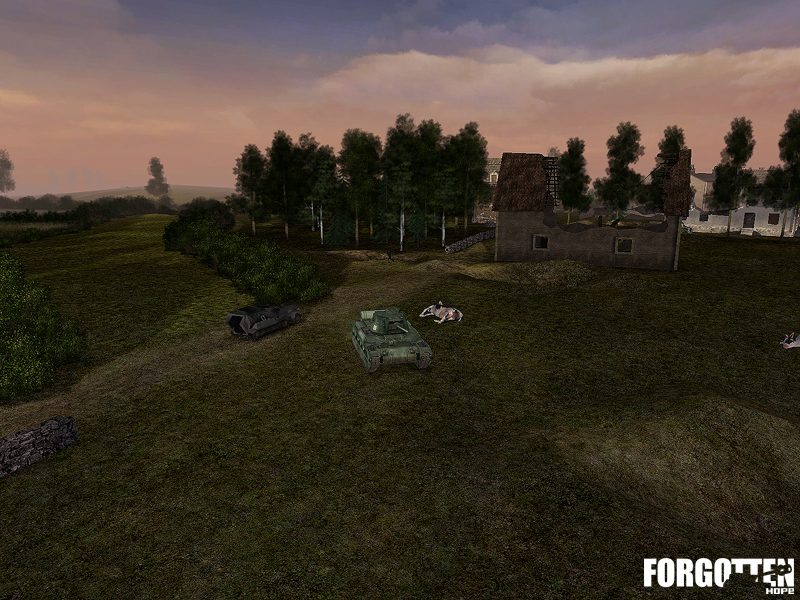 In addition, we have some further information about our mod development progress. Everyone here is working hard and even Half-Life2 cannot hinder us -- although we have to admit it is slowing us down -- but only a little. After some problems with our current internal we are now on our way to complete the bugfixing. 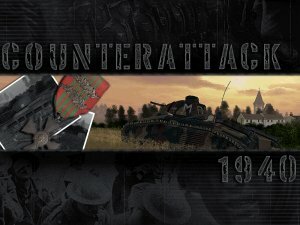 As mentioned many times before, 0.66 will mainly be a patch to fix major bugs - only new content that was completed before all bugs have been fixed will be included. Not only our coders are working to ensure you get the patch ASAP. Our modelers are designing new content while skinners are improving and creating new skins. And our mappers are not idle either. So now we'd like to show off some stuff that has just been finished. 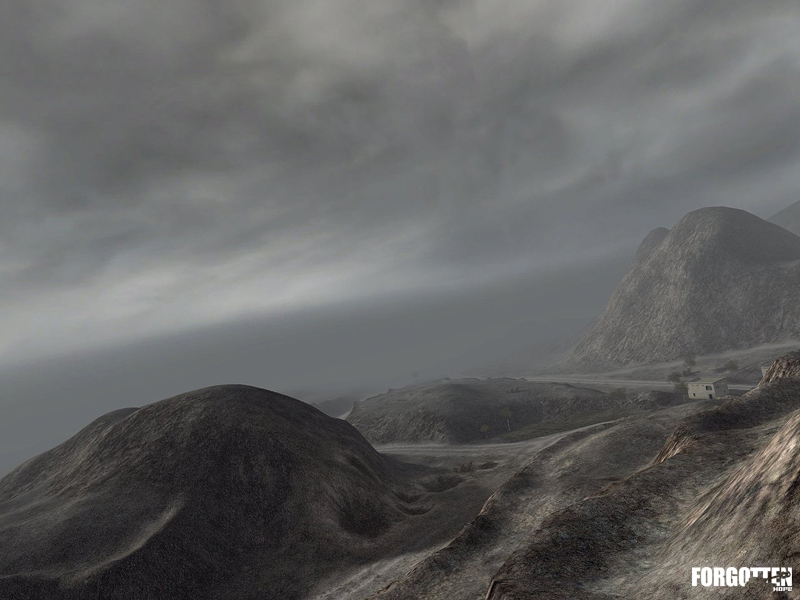 For today we have a new map, Kasserine Pass, that takes place in the year 1943 in the hills of Western Tunisia. 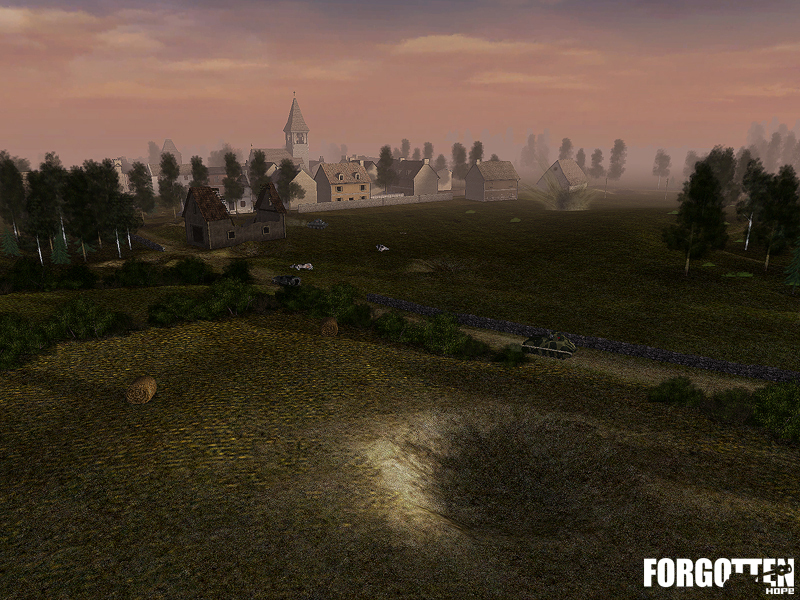 The map was made by GI_JOEJK and depicts the first confrontion between American troops and a major German armored offensive. That's all for today. But be sure to come back for next weeks news update and give our forums a visit to discuss this one. Forgotten Hope is closer than you think. If the testing is turning out well, we are confident of releasing the patch within the next month. 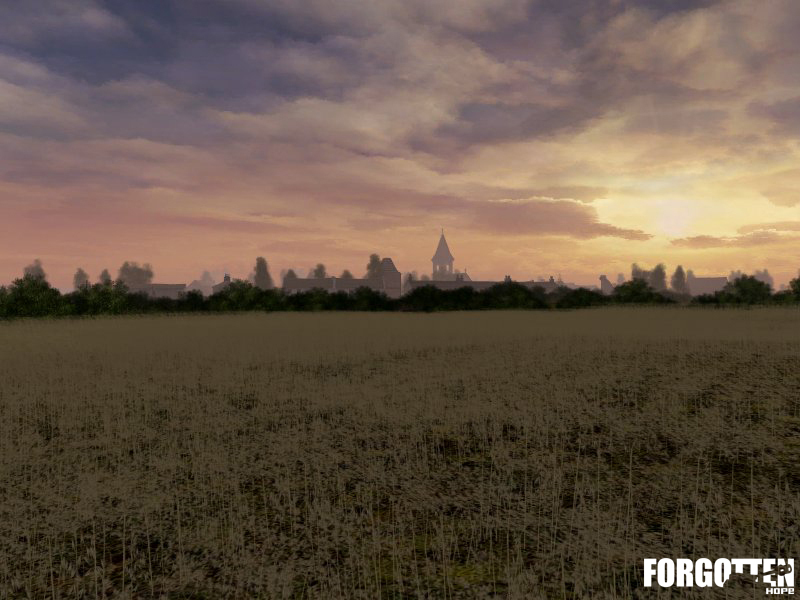 We've got another update for all of the Forgotten Hope mod fans out there. First off I'd like to start off with a little bit of community news. First on the agenda is news relating to a new Forgotten Hope ladder starting up in Australia and New Zealand, here's a bit of the email that was sent to us. The Australian Expeditionary Forces, in partnership with OGN, IINET, are starting a Forgotten Hope Ladder Competition in Australia/New Zealand. The AEF/OGN Forgotten Hope Ladder will be sponsored by IINET and will be hosted by the AEF/OGN Servers. We are currently receiving expressions of interest from clans and individuals in Australia and New Zealand and to register your interest simply visit the OGN Forgotten Hope forum. The Australian Expeditionary Forces, with the express permission of the Forgotten Hope Development team, are the official Southern Hemisphere distributors of Forgotten Hope and any clan or individual requiring a free copy of Forgotten Hope on CD can go to the AEF website and register. It's really hard for the team to express in words all of the support we've received since we began doing this, and seeing these math play sites springing up, the only thing we can do is, well, produce more content for you all! Today we'd like to showcase three new renders that will be included in the next patch to Forgotten Hope. 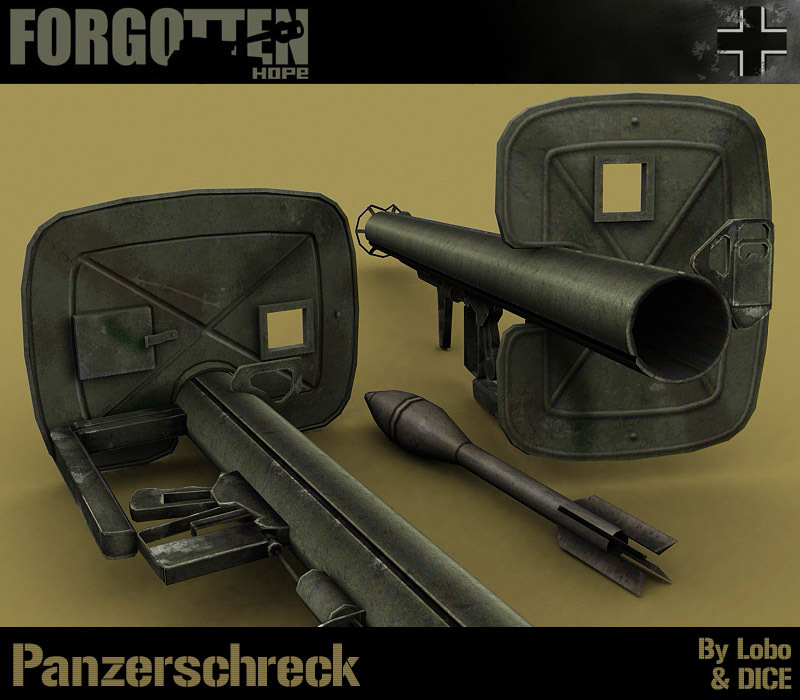 First up we have adjusted the panzerschrek model, by adding the blast shield found on many of them. This blast shield will be used in tandem with a more realistit sighting system for Anti Tank weapons! Check it out below, the adjustments were done by Lobo. 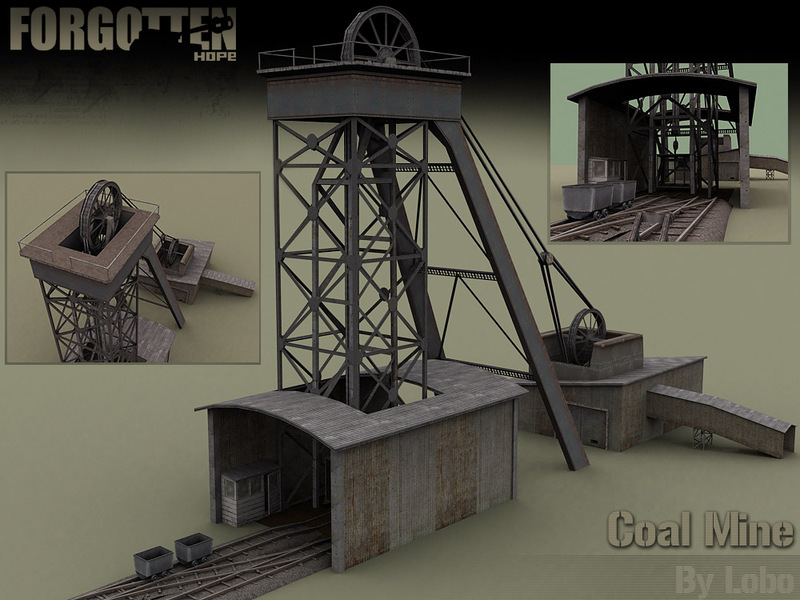 We also have a new static object that will be included, this is a model of a coal mine, done by Lobo as well. 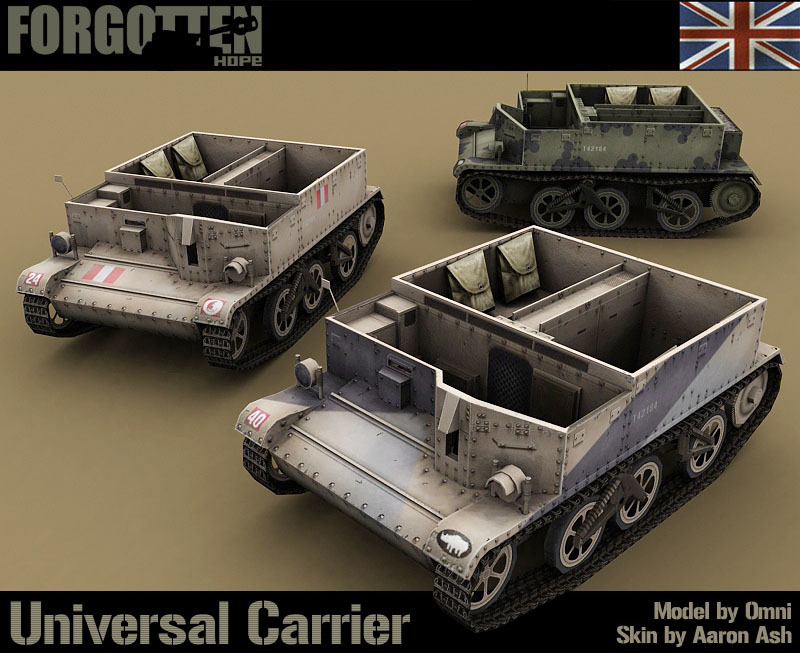 And last, but definately not least, we have finally brought the British Universal Carrier ingame, check it out below. 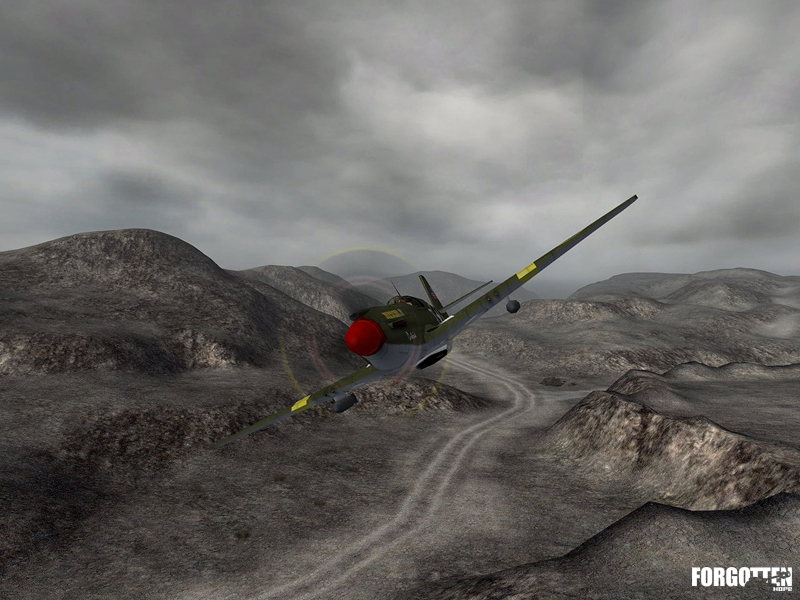 This model was done by Omni and the texture work was done by Aaron Ash. 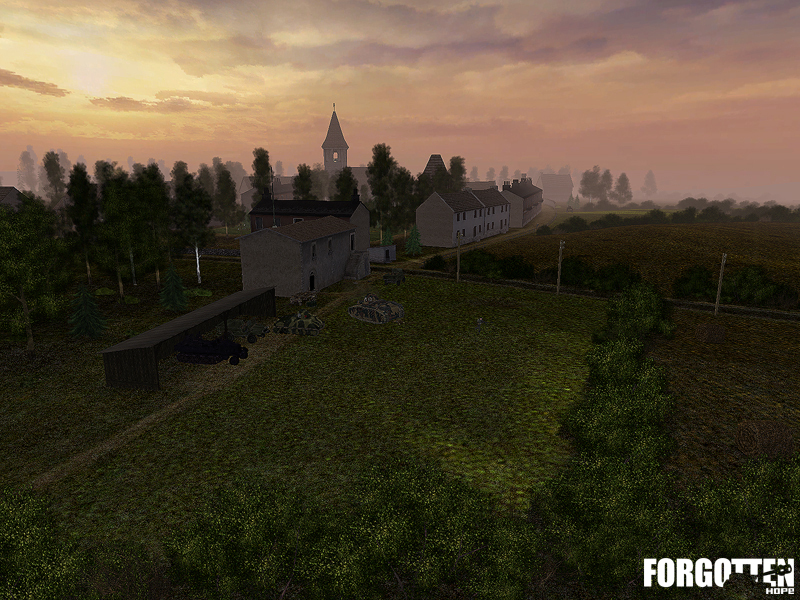 Well that's all for this update, but be sure to stay tuned for more content updates from the Forgotten Hope team. Welcome back to the next installment in our series of weekly updates leading up to the release of the 0.66 patch of Forgotten Hope! We have a few new renders to show off for today showcasing a few of the new infantry weapons making their way into this next patch. 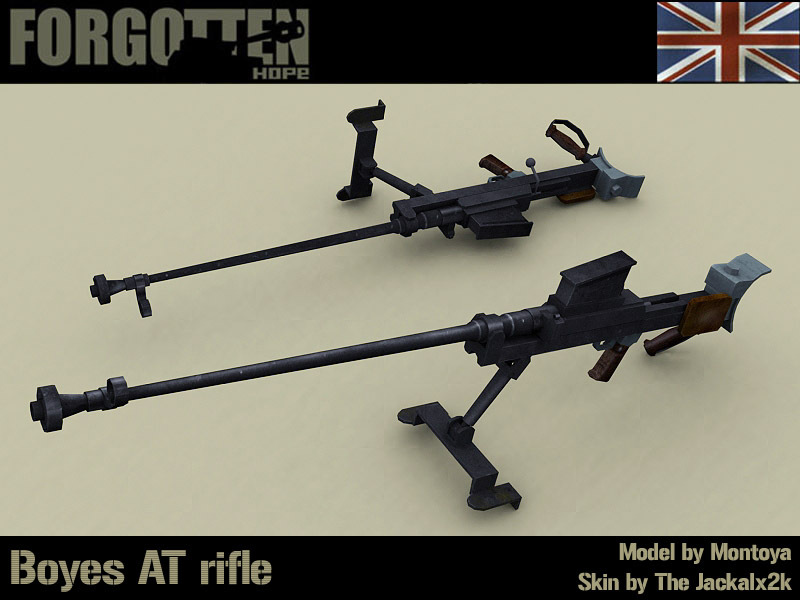 First up we'd like to show off two of our newest anti tank rifles! 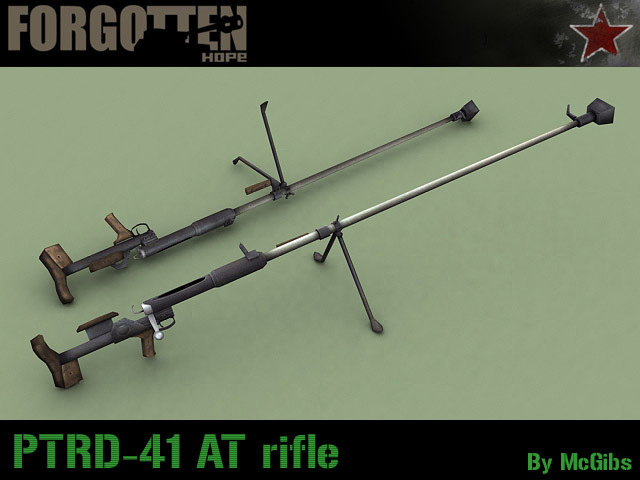 The British Boyes anti tank rifle and the famous Soviet PTRD-41 Anti Tank rifle. Both of these new weapons will give infanty a very long arm for dealing with those pesky tanks on the battlefield. The Boyes was modelled by Montoya and skinned by Jackalx2k and the PTRD-41 was modelled and skinnned by McGibs. 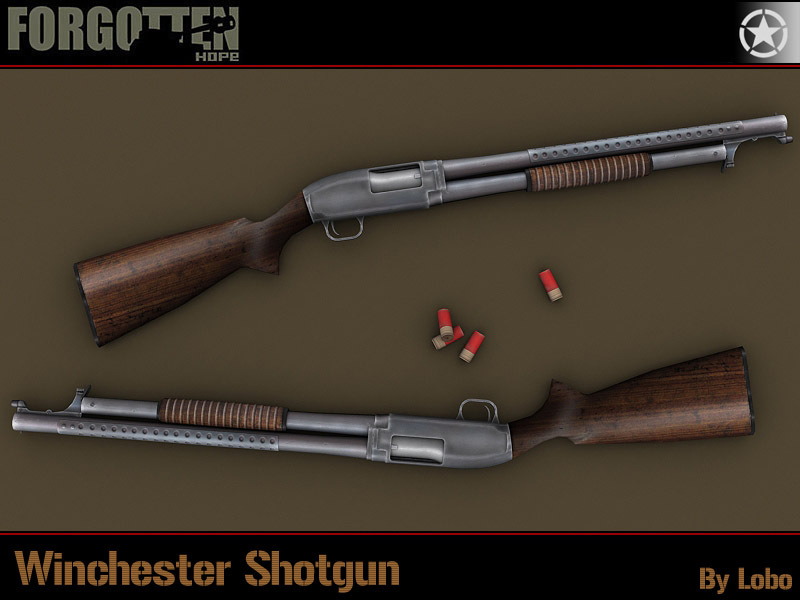 We'd also like to show off another hard hitting weapon, the Winchester Shotgun, modelled and skinned by Lobo! We'd also like to post a little reminder to all of the mappers out there working hard on the mapping contest submissions. The deadline is the 26th of November which means that there are still 3 weeks to get your submission done and sent in to Armin Ace. We're looking forward to seeing all the hard work that you have been putting into these maps, and hope to be able to include many of them in the fan map pack! If this is the first you've heard of this contest, or you need to see more details, go here. That's all for this weeks news update, soon we will be pushing out the patch that fixes the Pacific Map problems along with a content update, so stay tuned for more information on that!